Well, the tree is down, ornaments and decorations carefully wrapped and stored in giant plastic containers until next Christmas. Resolutions have been made and faithfully followed for a week or two, then broken, only to be made again. Isn’t that what we all do? Strive to be better, never giving up … the American Spirit. We’re not perfect, but that’s okay. We are constantly evolving, learning, and attempting to be better and do better than yesterday. We are grateful for those in our lives who inspire and challenge us to be our best. At Ambiance Boutique, it is our faithful and future customers who motivate us to be our best. This year we are dedicated to bring you, our loyal, steadfast customers, the unique and extraordinary. And have we started off with a bang! 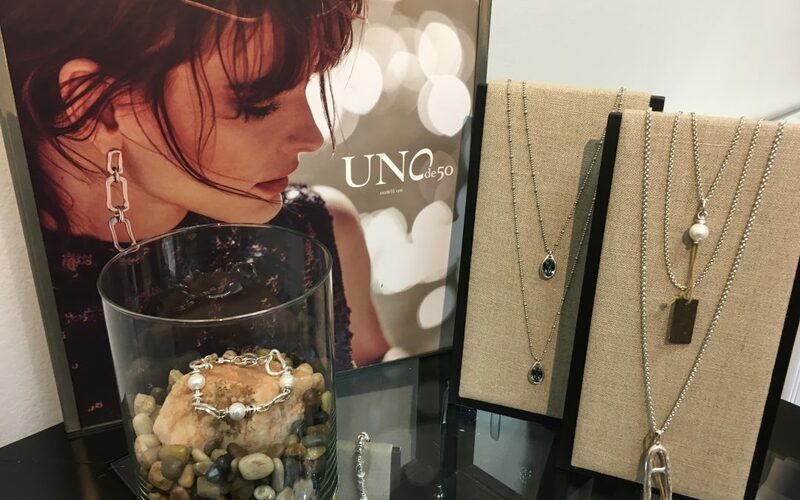 We are beyond thrilled to announce the arrival of our new jewelry line, UNO de 50. It is an amazing line of jewelry from Spain. It is a beautiful fusion of silver, gemstones, pearls and leather exquisitely hand crafted by talented artisans. Lovely rings, necklaces, bracelets and earrings are just waiting to adorn you. You have to see it to believe it! Guaranteed you will fall in love. Valentines Day is right around the corner, so put a bug in your significant others ear. UNO de 50 is the perfect way to say “you are special to me”. 2018 was wonderful and we expect 2019 to be even better. We thank all of you from the bottom of our hearts for supporting us and spreading the word about us. We are looking forward to seeing our old friends and making new ones. We are heading off to market soon and you will be in our hearts and heads as we choose the beautiful, fun and unique treasures for you. Please stop by Ambiance Boutique and say hello. Can’t wait to see your beautiful faces.